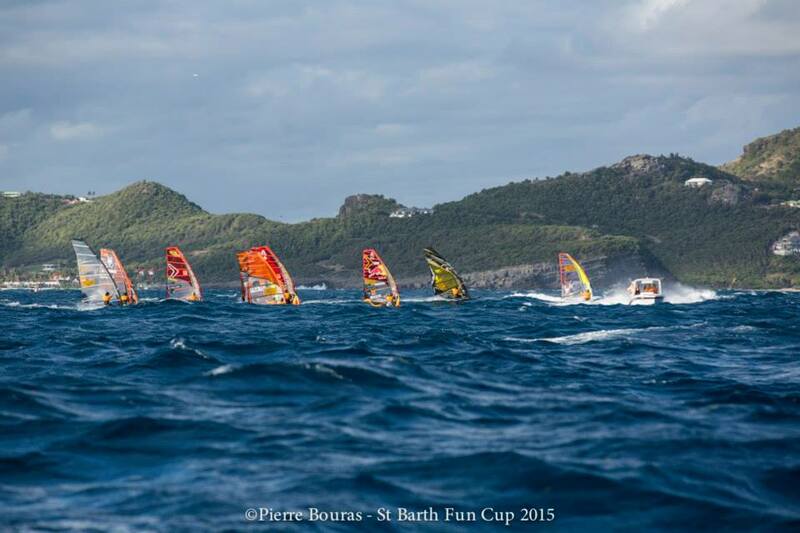 The 4th edition of the St Barth Fun Cup saw the strongest fleet since the start of this Carribean racing event. The starting list incuded some of the world’s best riders and even Bjorn Dunkerbeck, who retired from the PWA World Cup tour last year, travelled to the paradise. After four eliminations, Taty Frans (NB-9), the all-round talent from Bonaire, won the event. Taty showed great speed and left some of the world’s fastest Slalom riders behind: local and 2014 winner Antoine Questel, Slalom Vice-Worldchamp Cyril Moussilmani, world’s number 3 Pierre Mortefon, multiple world champion Bjorn Dunkerbeck or world’s number 5 Pascal Toselli. We hooked up with the top 4 of the rankings.